W2A Design Group News: LANDMARK TOWER IS BACK IN THE NEWS! LANDMARK TOWER IS BACK IN THE NEWS! 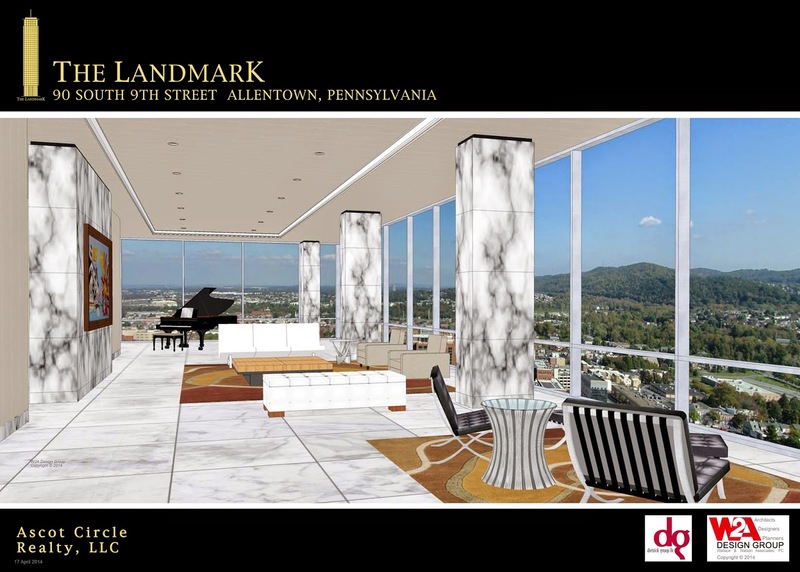 ALLENTOWN DEVELOPER BRUCE LOCH PLEDGES TO MOVE FORWARD WITH LANDMARK TOWER! 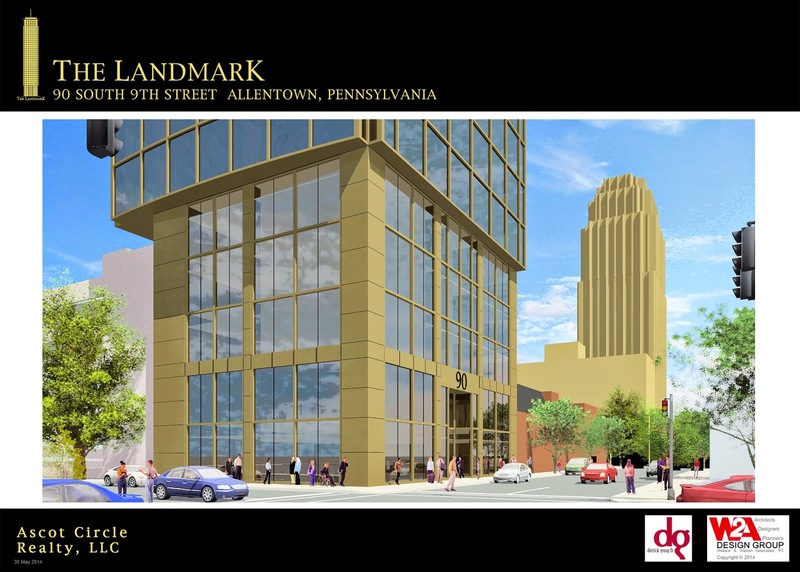 On Wednesday evening Mr. Loch requested, and was unanimously granted by the Allentown Parking Authority, an extension for the sale of its lot at Ninth and Walnut Streets until November 6th. This will allow Mr. Loch time to identify a major tenant, so that he can then close on the property and proceed with Planning and Zoning approvals for the 33-story high-rise Tower. Construction of the 130,000 square foot building could begin as early as March 2015, depending on the progress of tenant negotiations. The Landmark Tower includes space on the first floor for a restaurant, bank or other retail stores, office space on the second through twenty first floors, apartments on the twenty second through thirty third floors including five floors of penthouses, and a substantial attached parking deck. 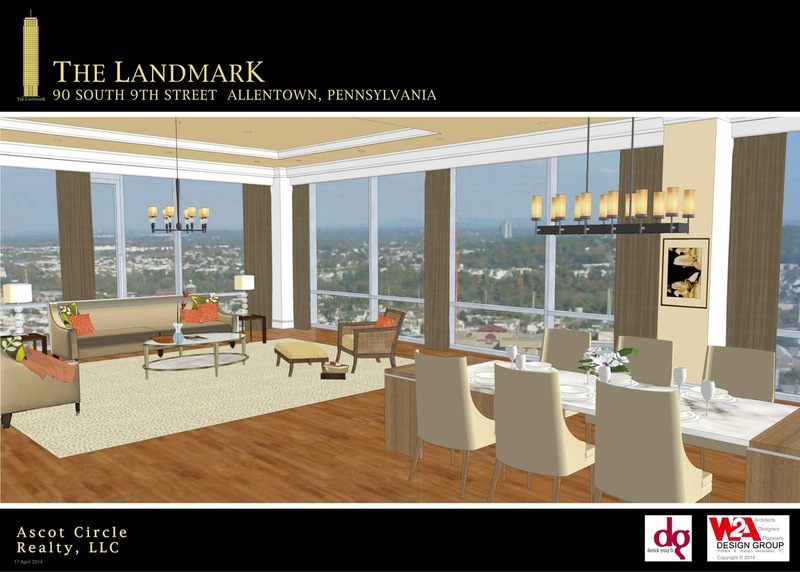 At thirty three floors Landmark Tower would become the Lehigh Valley’s tallest building. See the links below for the full articles, and contact W2A if you'd like additional information about this exciting project.